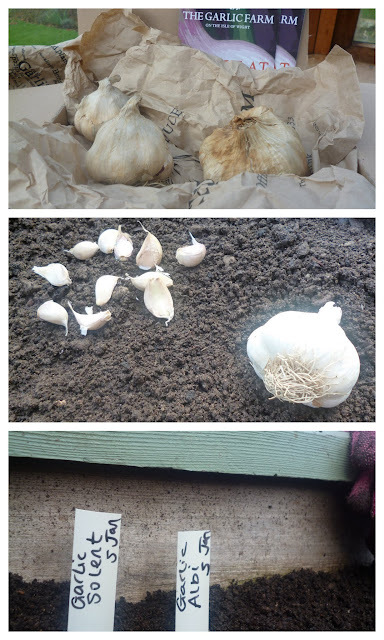 Back in January I planted my gleaming white garlic cloves courtesy of a competition win from Woollygreen. For months there were no signs of life in the soil. A few weeks ago in preparation for planting up the raised beds, they were covered with an old shower curtain and some bin bags. A simple blanket to help warm the soil up. Earlier this week I peeked under the covers and behold - I found green shoots of garlic. Long may the sunshine and my garlic grow. They look great, I must say mine are looking a tad straggly.